Unscented – completely natural and perfect for anyone with scent sensitivities. Great for babies – try it on lips, cheeks, chins! Cocoa butter is ultra-moisturising and really works to heal your lips, leave them looking beautiful. Beeswax locks in moisture, making this perfect for those days when you’re all chapped up. 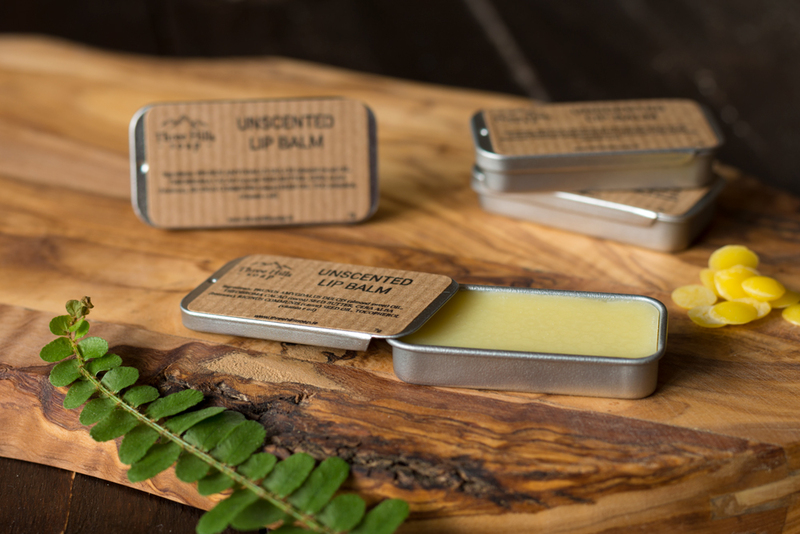 The natural oils and butter in our lip balms sink into the skin, helping to soothe, moisturise, hydrate and condition your lips. And because there is no water to pad it out, there is no need for parabens or preservatives either! We added the pure natural Vitamin E for extra antioxidant protection too. This all-natural soft lip balm is really popular with the guys too. All lip balms are hand mixed and hand poured. Recycling info: jar is aluminium, widely recyclable. All our lip balms are 100% vegetarian, handmade, all natural and not tested on animals.